Simply order from Papa John’s and show this flyer or mention Arete Prep and we will receive a portion of those sales. Download flyer here. Save 30% off online orders of regularly-priced menu items! 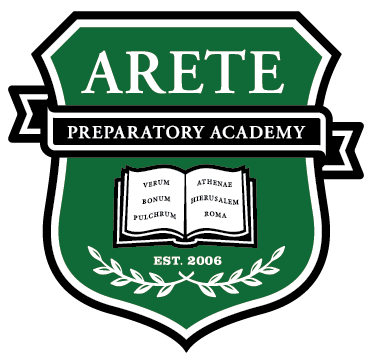 Did you know that the Arete Prep Lunch Program is managed and distributed by our Parent Service Organization volunteers with all the profits going directly back to the Parent Service Organization. As a matter of fact, the Lunch Program is the main source of income for the Parent Service Organization. That means the PSO relies on lunch orders to fund Prom, Homecoming, Teacher Appreciation Week, Teacher Birthdays, Conference Week, Fine Arts Nights, 8th Grade Promotion, Wednesday Morning Coffee Chats, Graduation, and so much more! Please consider ordering lunch for your student and supporting the PSO. Information and instructions to register here: http://areteprepacademy.greatheartsacademies.org/academy-life/lunch-program/. Listed below are the ways in which you can help raise money for our school and for our Senior Trip. Just a click or “clip” away and a few minutes of your time! Buy a mattress through Tuft and Needle and support the Class of 2019 Senior Trip fundraising. Go to Tuft & Needle and choose Arete Prep PSO from the pull down menu. The Class of 2019 will receive 25% of all proceeds from each sale. We will be collecting “Box Tops for Education” throughout the year. For every Box Top that is collected, our school earns FREE money! Individual Box Tops can be worth 10 cents or more, depending on promotions. Please bring Box Tops from home and place them in the basket at the front office.